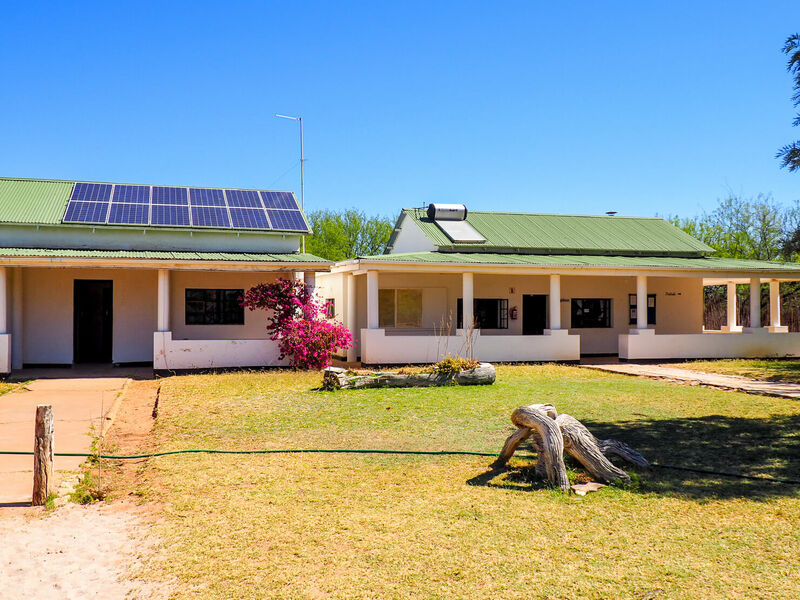 Our first stop in Botswana was the Dqae Qare San Lodge near D’kar, in the Kalahari region, approximately halfway between the Buitepost-Mamuno border crossing with Namibia and Maun. I’d just finished my first Rock My Namibia Adventure tour (which was incredible btw – you should definitely come on the next one) and had a few weeks off in between tours, so Jessi (my right-hand woman, who runs some of my tours for me), our friend Thomas and I decided to hire a car and road trip through Botswana to Zambia. I’ve visited Botswana a few times before, doing safaris in Chobe and the Okavango Delta, but I was eager to see more of the country and learn about the various cultures here, especially the San people who are one of the oldest (if not the oldest) tribal groups in the world and the original inhabitants of southern Africa, with archaeological evidence showing that they have lived on the land for 30,000 years. 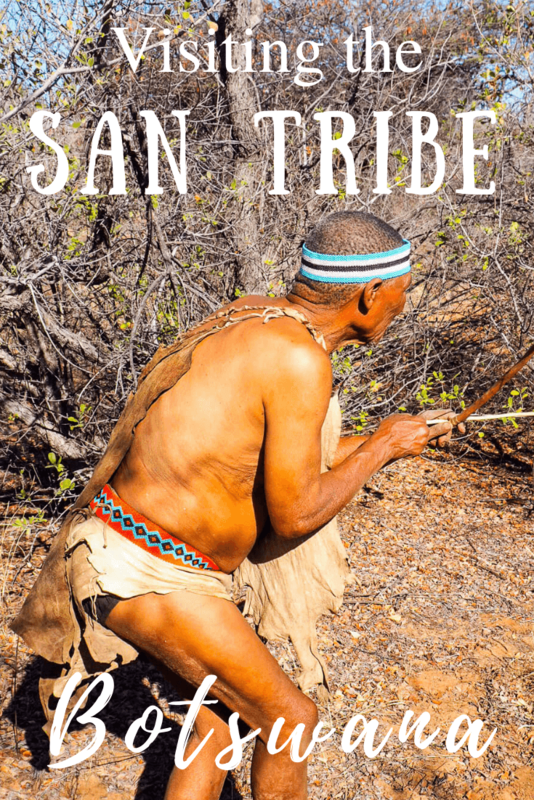 It is thought that all modern humans are the descendants of the San people which is pretty impressive. We were picked up at the lodge early in the morning by our San guides, Kgakgam (her name means ‘drinking mouth’, she said her mother must have been very thirsty) and Xgaiga (his name means ‘chest’) and they along with a few others took us into the bush and began our introduction to the tribe. We decided to do the full day San Experience which I have to say is one of the most enjoyable tribal meetings in all my years of travelling in Africa. 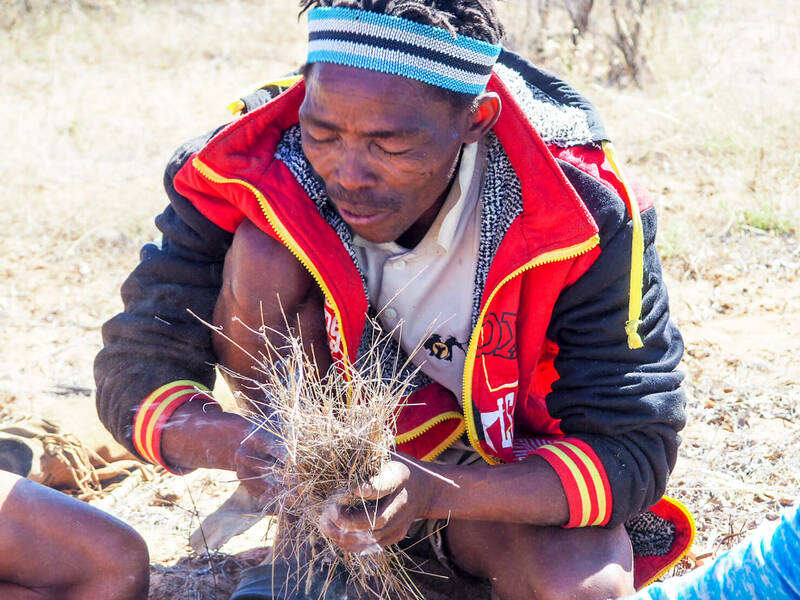 Traditionally the San are nomadic hunter-gatherers and are also known as the ‘Bushmen’ due to their incredible knowledge of the plants, animals and their surroundings. When I was in Namibia, I overheard someone saying that you shouldn’t use that term any more as it’s now classed as derogatory, however the San people (including the women) at Dqae Qare San Lodge referred to themselves as ‘Bushmen’ so I guess it depends on who you speak to and the context in which the term is used. It certainly wasn’t a term that the San people I met found offensive. 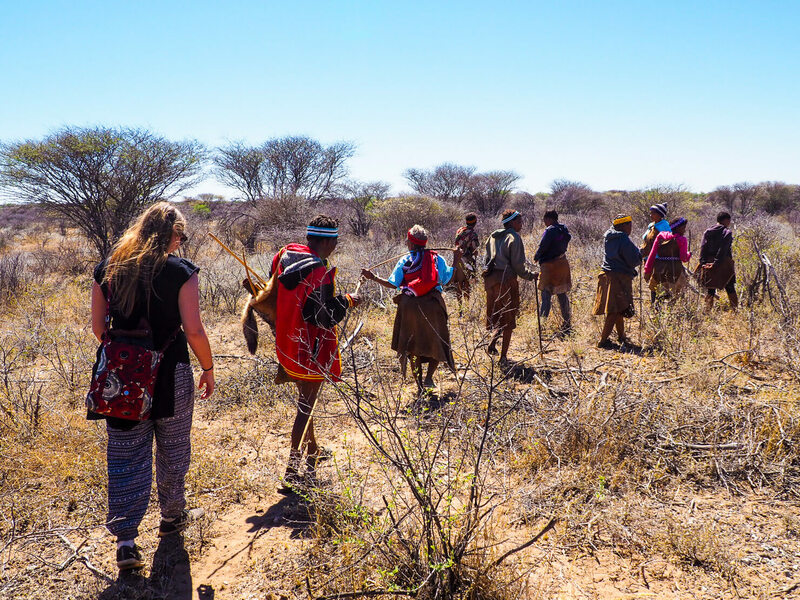 As we walked, Kgakgam and Xgaiga showed us animal tracks including those of the brown hyena, zebra and giraffe and pointed out the different kinds of poop we were seeing. It was so interesting to see how ‘at one’ with the natural world – something which I feel needs to be treasured and protected for all our sakes. We asked lots of questions as we walked and our guides were more than happy to answer them and actively encouraged us to take photos whilst proudly showing of the plants they’d found. Every now and again we would stop to forage for roots. The first took a while to dig out and was a bit like a giant sweet potato. The second was a water plant, which, as you’d imagine contained a lot of water and is useful for keeping hydrated in the desert. Everyone got a piece of the plant to share, including us. It didn’t taste of much, to me it had the texture of a juicy pear, but with a fraction of the taste – but hey, if it keeps you alive in the desert then it’s good enough for me. The third was a bush potato, which I didn’t try, but am told is incredibly tasty when roasted. 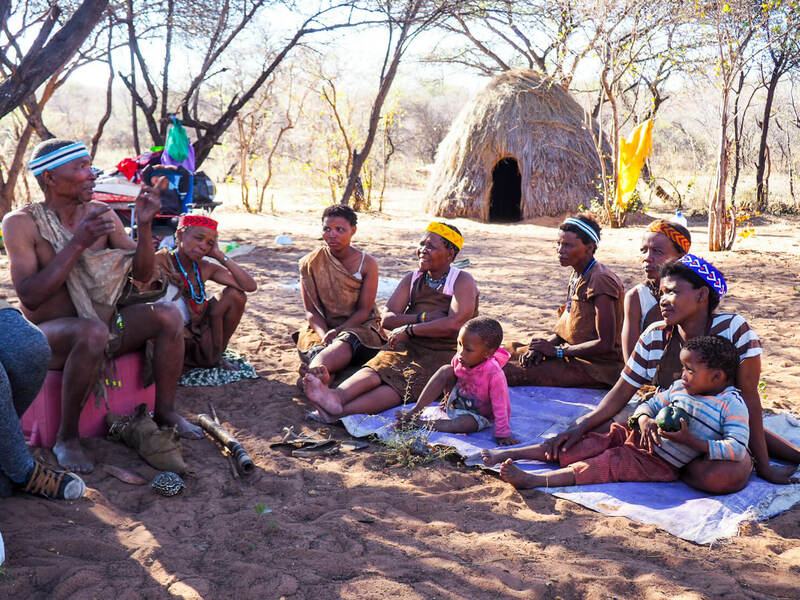 We learned that the San are monogamous and the men just take one wife and while it used to be the case that the parents would choose the wife, these days they are allowed to choose for themselves. For a dowry and to prove his worth, a prospective husband must kill an eland (large antelope) and show that he can make fire. There is no ‘hierarchy’ as such, so therefore a very democratic society however the elders do have a certain influence. These days the San are low in numbers and spread out mostly in Botswana and Namibia, with some in Angola, Zambia, Zimbabwe and South Africa. They have now mostly been removed from their ancestral lands in the Central Kalahari, but they are campaigning to return. 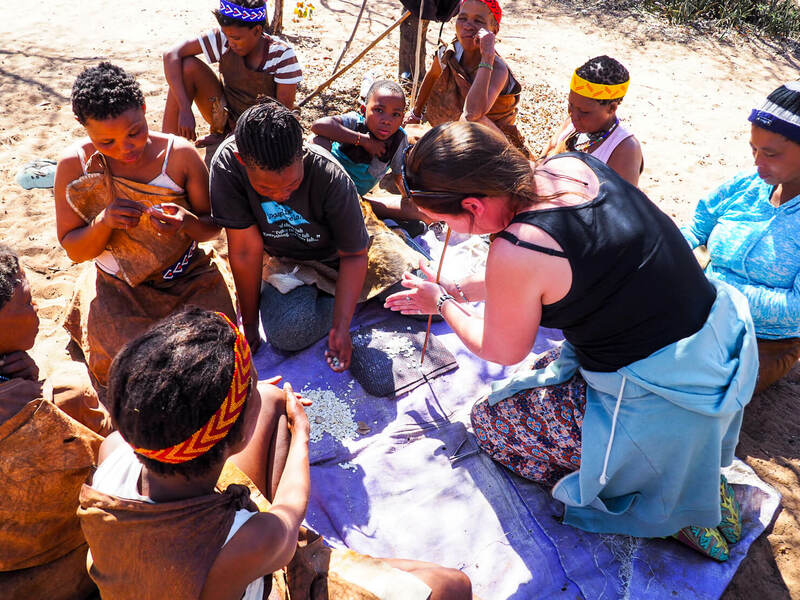 After a rest in the middle of the day, we headed to the ‘village’ to learn how to hunt by setting traps, make ropes from plants, make jewellery, listen to traditional music, hear stories and play games. 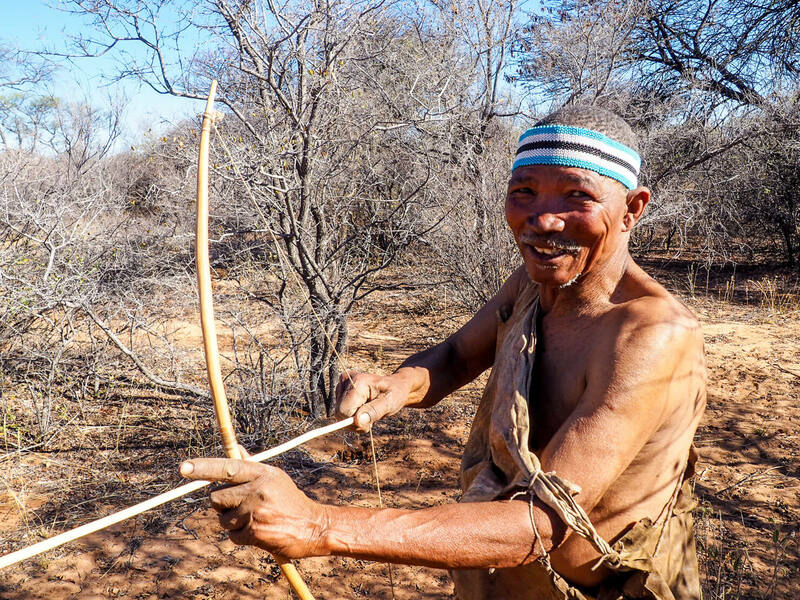 We learned that very few San live in the traditional way and need permits if they want to hunt as their ancestors did, so most San people live in more modern settlements, including those who we met at the farm. 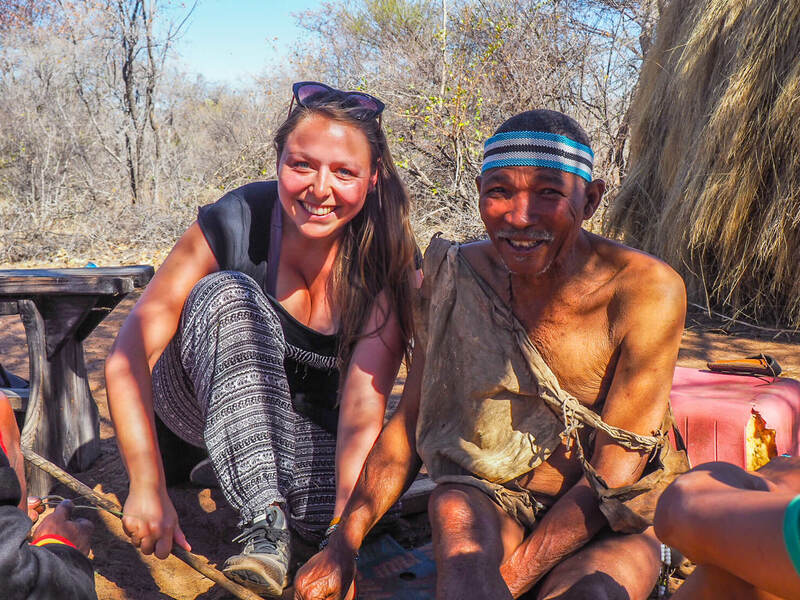 They were very open about the fact that the village we went to wasn’t their ‘real village’ (most live in nearby D’kar, pronounced ‘deekar’) but more of a representation of traditional San culture and that the lodge now provides vital income for the San people who work there. Saying that, they were still very proud of the fact that the traditional san skills are passed down through the generations today and still used where possible. The best thing about the whole thing, both on the San Experience and at the lodge, was the people. 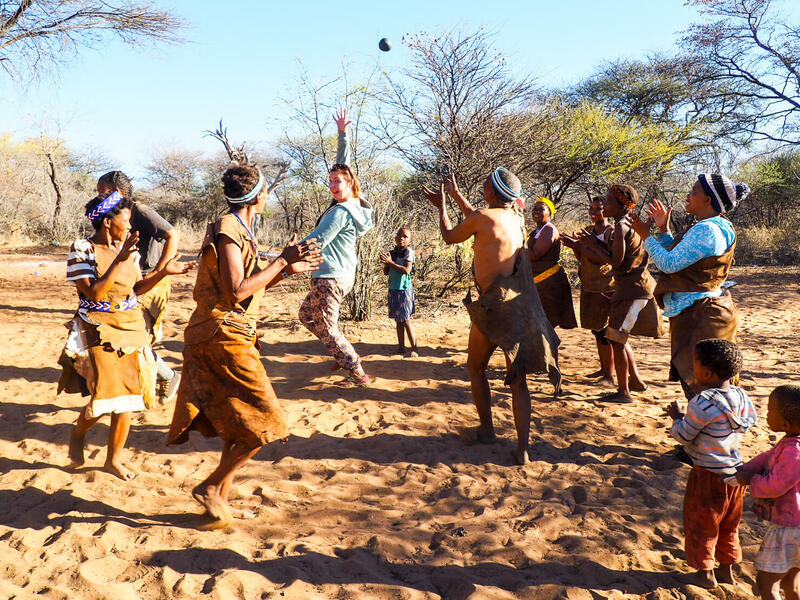 The San people were incredibly friendly, welcoming, open, warm and funny. At no point did I feel that we weren’t welcome or that we were intruding on their day to day life or that it was staged in any way. They were very open about everything and we were just part of the gang. Within the group, there was another man, also called Xgaiga (I’ll refer to him as ‘the elder’ and our guide Xgaiga as ‘the younger’ although he wasn’t that much younger) who I absolutely loved. He has such an open face and was very enthusiastic about everything showing us their traditional hunting techniques. By the end of the day I was especially fond of him. 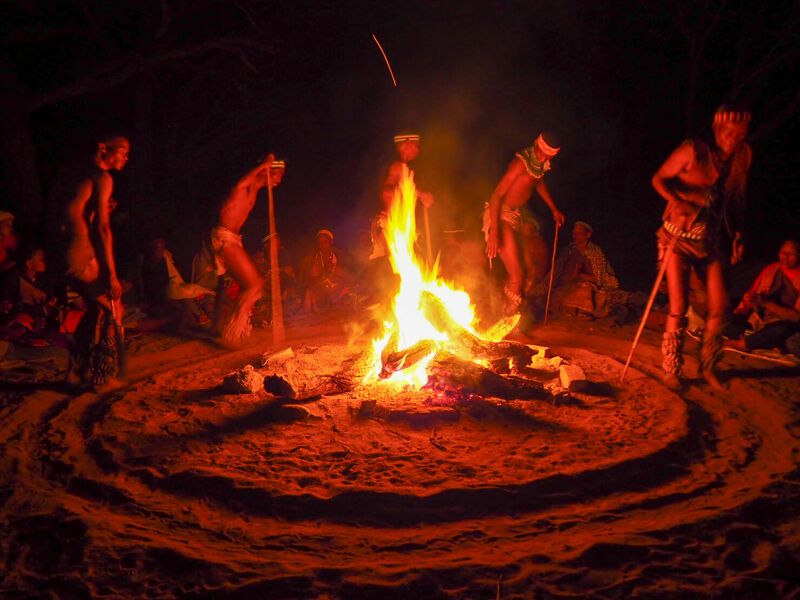 After dinner at the lodge, we gathered around the fire, this time joined by more people who had arrived that day as well as the whole San community who work at the lodge. The San are magnificent storytellers and entertainers and Xgaiga (the younger) was a true showman. He regaled us with stories of the Lion and the Clever Hare, speaking in his own language of Naro (which is one of the click languages), acting out the story as he went, whilst one of the other ladies translated for the rest of us. The best part for me was watching as the rest of the San sat and listened and laughed hysterically at his story. I felt like we were simply flies on the wall of a traditional, energetic, flamboyant and wonderfully comedic San storytelling session. The last part of the evening involved traditional San singing and dancing. The women keep the rhythm by clapping (although they occasionally got up to dance) and the men move in a circle, chanting in a trance like state. During the last song of the evening, Xgaiga (the elder) broke away from the circle and came over to me, much to the astonishment of the rest of the group, who were probably wondering why I had been singled out for special treatment. He put his hand on my lower stomach, smiled and said “Doctor”, then began chanting before putting his hand on my head. Jessi and I looked at each other, she smiled sympathetically as my eyes began to fill with tears. 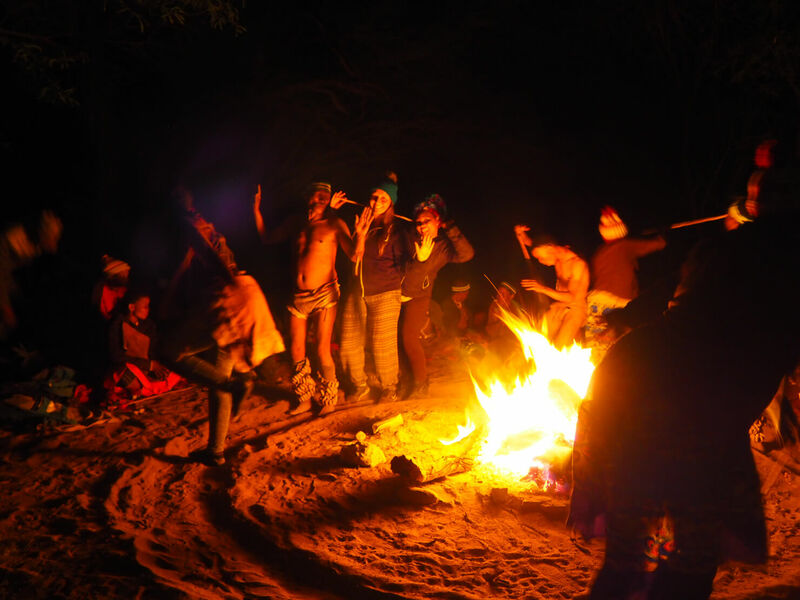 The San are known for their healing practices, especially when in this trance like state and the week previous, I had been diagnosed with a kidney infection which seemed to come about after a very bumpy road in northern Namibia. It was incredibly painful, and after a week or so of antibiotics, I was still feeling some pain (which didn’t feel kidney related to me) so I went back to the hospital for tests. An ultrasound revealed that I also had large fibroids in my uterus… it’s been an emotional few weeks, let’s put it that way and I am still having intermittent pain from the fibroids, especially when standing for long periods of time, as I had done when visiting the village earlier in the day. Xgaiga (the elder) was healing me. It was a very moving a profound experience. I don’t even know how to describe it. At the end of the evening, he walked over to me again, touched my lower abdomen first, then my shoulder and lastly my head, before clicking his fingers above me as if to banish any bad energy. He then did the same to Jessi, Thomas and a couple of the San people in the circle. 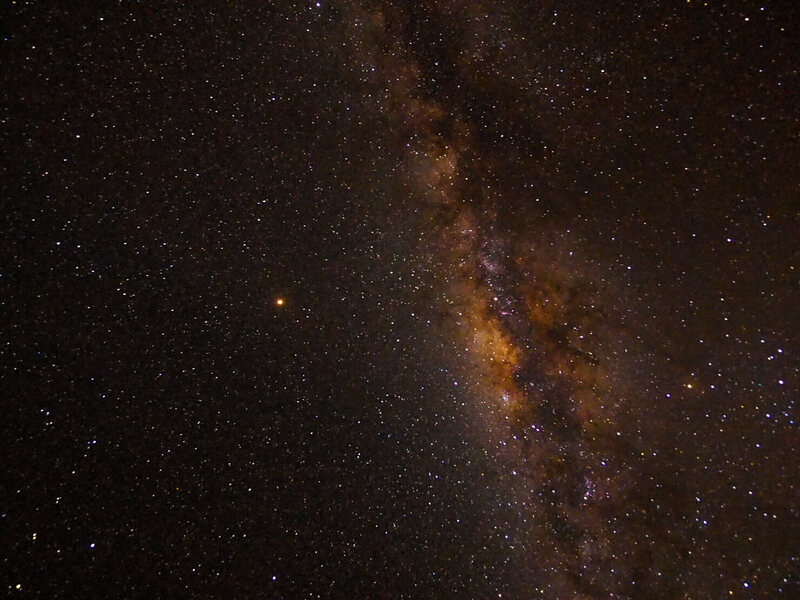 Once we’d said goodnight to our San friends, we set up our cameras to try a bit of night photography as the Milky Way was sparkling above us in all her glory… what a night! The time we spent at at Dqae Qare San Lodge was incredible. The hospitality we felt was immense and the experience will stick in my memory forever. 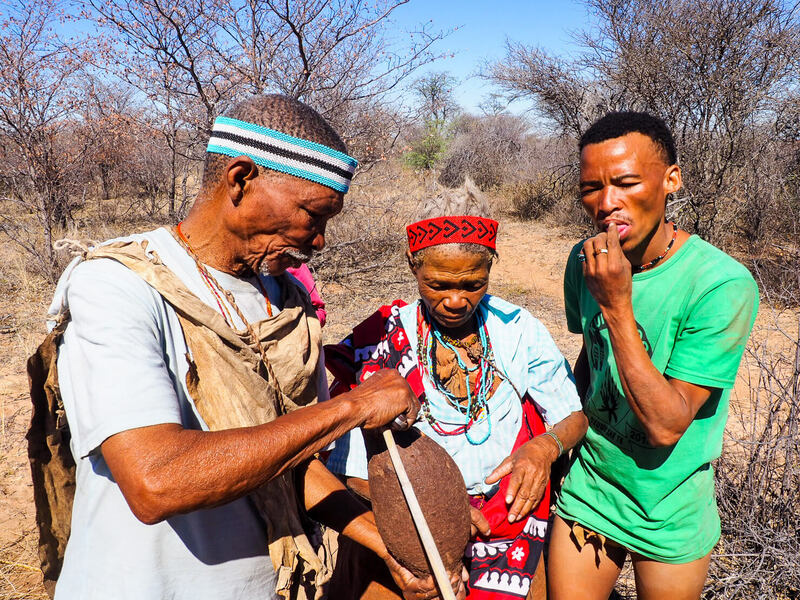 For reasons I can’t explain, I felt like we really had a great connection with the San people we met that day and Xgaiga’s (the elder) blessing was one of those magical moments in life that only comes around once in a blue moon. We hired a car from Europcar. Driving from Windhoek, Namibia to Kasane, Botswana. You don’t ‘need’ a 4×4 to do the route we did, however some of the lodges we stayed at (including Dqae Qare San Lodge) were down sandy tracks. Most of the main roads we used are sealed and you can always take tours into the parts of the country that do require a 4×4 or park somewhere near the main road and get your lodge to pick you up if it’s just a short distance. The lodge is around 7km down a dirt road off the A3 road which lies between Ghanzi (about 20km away) and Maun. There is a sign to tell you where to turn so you shouldn’t miss it, but you should also be able to enter it into your GPS system too. The road is quite sandy, however our Toyota Corolla 2-wheel drive (that we nicknamed Botswana Billy) did just fine navigating the track although you may want to check the road condition before you attempt the road. If you don’t have your own vehicle (or a suitable one), the lodge can arrange pick-ups from nearby Ghanzi or D’kar for an extra cost. Ideally, I’d suggest that you get there before nightfall as navigating the road in the dark might be a little confusing. The drive from Windhoek (with the border crossing – which was quick and painless – and a stop for shopping and a Hungry Lion takeaway in Gobabis on the Namibian side) took around 7 hours. Just remember you are not allowed to bring any meat, dairy or fruit products into Botswana from Namibia, so you may be better to do your shopping on the Botswana side of the border in Ghanzi. You can book your place at the lodge through their website here. Guests can either camp using their own equipment or you can stay in the farm house like we did. I would book in advance, especially if wanting to stay in the lodge. The rooms are pretty basic but comfortable and the shower was always hot. 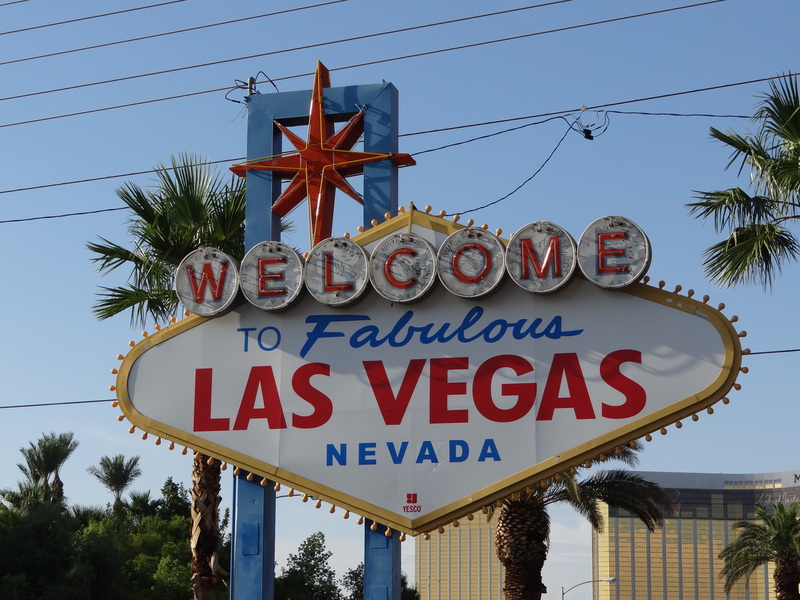 Prices for accommodation and activities can be found here. You don’t have to do the full day San Experience as we did, you can just take part in certain activities, but I’d definitely recommend the full day if you can and to spend two nights minimum at the farm. I could have stayed much longer. We went in early September and booked a day before we arrived, however if you can, book earlier, as they do sometimes book up with big tour groups. We booked in on a half board basis, with bed, breakfast and dinner but you can also add lunch for an extra 80 pula. If you’re camping and fancy a break from cooking, you can book meals at the lodge. The breakfast consisted of cereals, yoghurt, toast, jam, beans, bacon and scrambled egg with tea and coffee. The three-course dinner was great. For starters, we had quiche and curried egg salad, mains consisted of meat (we had chicken and oryx steak whilst be were there), with vegetables, potatoes and salad and for dessert we had fruit with custard. It was all delicious! You can buy soft drinks, water and alcohol (think they had beer, cider and wine – although I was off the booze at that point) using an honesty bar system. Ghanzi has a couple of supermarkets (including a Spar – probably your best option), petrol stations and other shops if you want to stock up before you arrive. For the san experience, I would recommend something comfortable with long trousers and closed shoes as there are lots of spiky plants and thorns on the ground. On my top half, I just wore a t-shirt and a hoody. Evenings can be cold, so a fleece and down jacket are recommended, especially if you go in winter (September) like I did. On the walk, take sunscreen, water, your camera and an inquisitive and open mind. You will come back to rest in the middle of the day. At the lodge, they have a small shop selling a few curios (San jewellery, dolls, magnets etc) however there is also the Kuru Art Project in D’kar which showcases and sells fantastic local artwork. 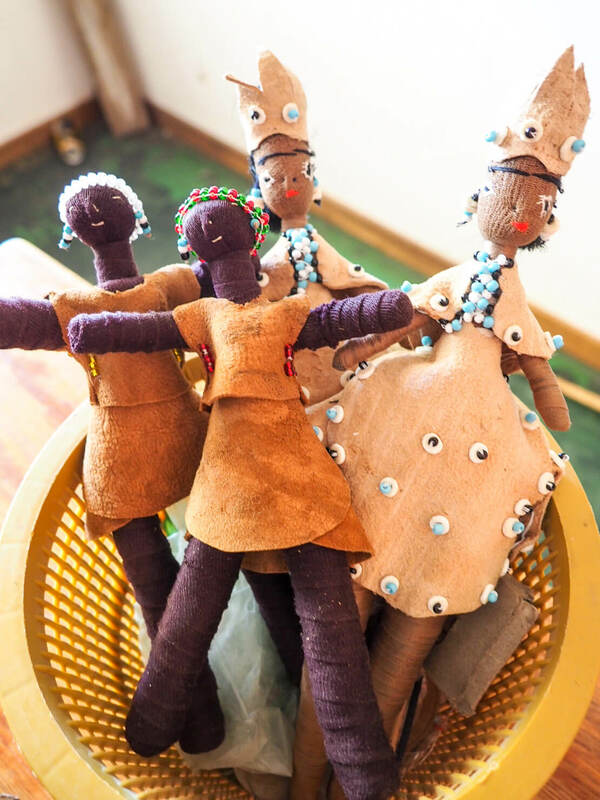 In Ghanzi you’ll find Gantsi Craft a San cooperative which supports a number of San settlements across the Kalahari and is an awesome place to pick up souvenirs at a reasonable price. 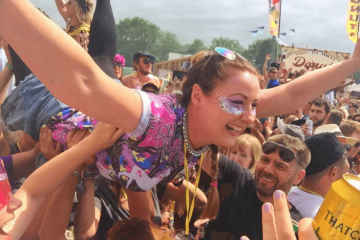 Want to come and experience this for yourself? Come on the Rock My Botswana & Zambia Adventure tour in 2019 – COMING SOON! Don’t fancy Botswana & Zambia? Then check out the other Rock My Adventure tours to Morocco, Malawi, Kenya, Tanzania & Zanzibar, Mount Kilimanjaro, Sierra Leone, Namibia, Uganda, Rwanda & the DRC, South Africa, Swaziland & Mozambique. Thanks for sharing this, They seem so happy and friendly people! 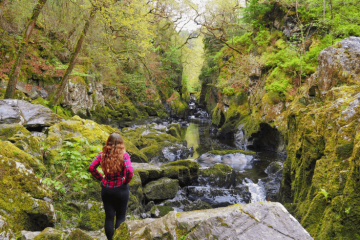 Thank you Helen for this excellent Travel Blog ! Well done. 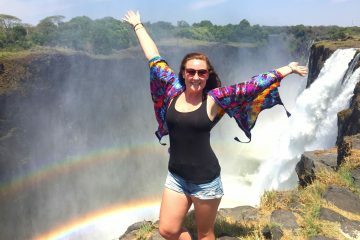 My girlfriend and I hope to be in Ghanzi about a month from right now, so in mid-November. I would like to spend a night at Dqae Qare and do some of the things you did, but am having a hard time finding out how to book a reservation. Do you have an e-mail address for them ? Thank You very much. Fabian. Have an awesome time! Tell them all I say hi!